The idea of that photographers must do anything to &apos;get the shot&apos; is not always good for nature. 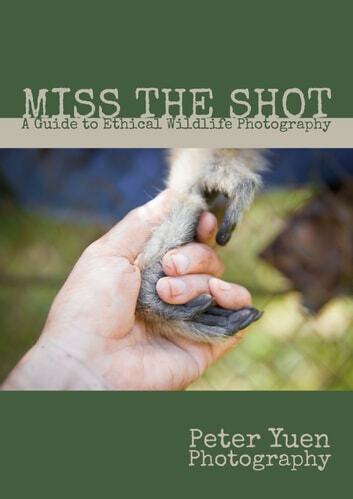 Miss the Shot: A Guide to Ethical Wildlife Photography is a short guide for any photographer working with animals, taking a look at a range of topics such as baiting, use of artificial light, interfering with nature and journalistic integrity. This quick and simple guide helps photographers understand when and why they should decide not to &apos;get the shot&apos;. And that should be a mark of pride to anyone who cares about wildlife.